36names is a recently launched marketplace focused on leasing-to-own domain names. Entrepreneurs can test their website ideas on a great domain name at an affordable price. If the website succeeds, he or she can purchase the domain name at a pre-determined price. Else, just walk away and the domain name returns to the original owner. I caught up with co-founder Yishi Zuo and learned a bit more. Mike: First, why domain leasing? Hasn’t this been tried in the past? Is there market for this? Yishi: A couple of years ago, I was exploring an unrelated start-up idea. 2) obtain a cheaper but lower quality name. If the start-ups that lease-to-own names succeed, the domain owners get paid as much as (and sometimes even more) than they would have anyway from an initial sale. If the start-ups fail, then the domain owners can just sell / lease-to-own the name to the next entrepreneur. Given this realization, I started doing research. I brought on a co-founder, Lauren Smith, as well as several advisors with deep knowledge of the domain name industry. As we began to talk to people, we did learn that this has been tried before. We also learned that domain name leasing is happening a lot today and rapidly growing in prevalence. Right now, leasing is being done on in small packets around the world. A lawyer will do a few here and there, another broker will do one or two a month. Mike: What does the domain, 36names.com represent? How is it relevant to your business? Yishi: We chose the name 36names because we wanted something simple and easy to remember. The “names” part is relatively straightforward. The word “names” is more concise than the word “domains”. The selection of “36” took a bit more time. Many of the best words that could be paired with “names” were taken. (We would have liked to lease-to-own an existing domain name if that option was more widely available — we could’ve been our very first customer!) Anyhow, we settled on using 2-digit number, for brevity’s sake. We like the number 36 as it is easily divisible by a variable of numbers and is also a perfect square. Mike: How many domains do you have listed today? Where do you expect that to be one year from today? Yishi: We have over 40,000 domain names listed. We hope to double that by this time next year. Mike: Does it cost anything to list your names? Do you reserve the right to refuse domains you feel are not valuable? Yishi: No, it does not cost anything to list names on 36names.com. There is no fee, no exclusivity clause, nor any commitment whatsoever. Though we have not had to do so yet, we may remove category tags from domain names if we feel that they are not a good fit. Mike: How does the leasing process work? Are there contracts involved and minimum leasing terms? Yishi: While each domain owner dictates the terms of their leases , we do have default suggested terms and contracts. 1) You take the selling price of the domain name and divide by 60 (5 years *12 months / year) to set the monthly lease price. 2) You set the price at which the owner can purchase the domain price in the future (Typically, this is the same purchase price at which you would sell the domain name today). 3) Rather than set a firm end date of the lease, we incentivize purchases by having 75% of the monthly lease payment accrue as a deduction to the purchase price. 4) If the lease goes well, the idea is that the lessee (end user) will buy it at the price you were willing to sell it at originally, and you are making a 20%+ cash return on that price while you wait for the purchase. If the website does not go well, the end user can just stop paying and the domain name goes back to you and you keep the money you have made to date. 5) We do have standard legal contracts. These contracts have been reviewed by our legal advisor Stevan Lieberman, a highly experienced and well-known domain name attorney. We have procedures in place to address the logistics of ownership transfers, potential domain name misuse, and more. We can also provide bespoke agreements for an additional, reasonable fee. 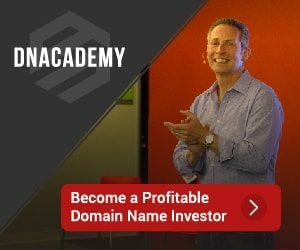 Mike: How does 36names.com earn a profit. Is it a percentage of the lease amount? Yishi: We take a 13.6% commission on all transactions, with potential discounts based on things such as 1) volume or 2) if you can bring in the end user (we provide the platform). Mike: This also isn’t your first time around the block. You’ve launched other businesses including www.deepbench.io and www.wikispective.com. What’s the secret to launching and running an online business? Yishi: DeepBench is a start-up in an existing industry–expert networks. We connect industry professionals to clients who need their insights. Wikispective is more of a passion project I’ve explored for some time. Its mission is to help people to develop a nuanced understanding of various complex issues by going steps beyond Wikipedia. The biggest thing that we have learned is the importance of building an MVP (Minimum Viable Product), listening to customer feedback, and iterating on the results. For example, with 36names, one of our customers asked for a personal storefront so that he could share his names with potential customers, so we responded by building that feature. Every user now has a personalized link that contains only his / her listed domain names on 36names.com. We strive to be attentive to customer feedback, and we plan to continuously improve 36names.com based on that feedback over the coming months and years. Funny I came upon this interview because the other day I was thinking about renting / leasing a domain name that I have but I need to find the right person for it. This is the first time I get to read this kind of lease for domain name. Sounds a new innovative idea and might just work fine.